ways to help this special population with the skills to live independently in their community. In late 2016, CCCs Chief Employment Development Officer, Safia Keller, read a CNET article (How tech means jobs ahead for kids with cognitive disabilities) where Digitability was featured as a pre-employment and transition work-ready program and curriculum designed to solve the problem of staggering unemployment among people with neurodiverse needs. Thanks to the CNET article, Safia and her team reached out to Digitability to schedule a free demo of the program. Shortly after their demo of Digitability the team at Columbus Community Center worked with Digitability founder and CEO, Michele McKeone to quickly put together a plan to rollout Digitability's Work-ready Skills Training Program as part of CCCs NextWork Program. As part of the rollout plan, Michele and our team flew out to Utah to train CCC team on how to use the Digitability program. At CCC, Amy Wadsworth, the NextWork Autism Program Director, was given the role of being the Digitability facilitator. The initial cohort of students to go through the Digitability program are between the ages of 12-62, with an average age of 35. They met every Tuesday and Thursday for about 90 minutes. Our Founder said this about our partnership: " It is easy to recognize CCC's dedication and commitment to ensuring that people with neurodiverse needs become work-ready and independent. It's been so encouraging to collaborate with CCC given their long history of advocacy. They really shine!" Amy Wadsworth kindly offered some feedback to share for this story. "There is such a wide variety of what students know, what they need to learn, and what they need to practice, and Digitability is really differentiated. Some students tended to go through lessons a lot faster than others. I allow them to access their account from home so they have independent practice and apply those work-ready concepts when we meet." "I really like the Online Olympics activity for teaching Google Apps. It works well with the adults because it gives them a challenge but isn't overly complicated." In the Level 1 Digitability Work-Simulations, students are assigned specific roles as they plan a website together on a topic of their choosing. The Columbus Center used the Digitability Level 1 Work-simulation project to create a website for their NextWork Program showcasing their success. Here are links to their cohort's first projects. 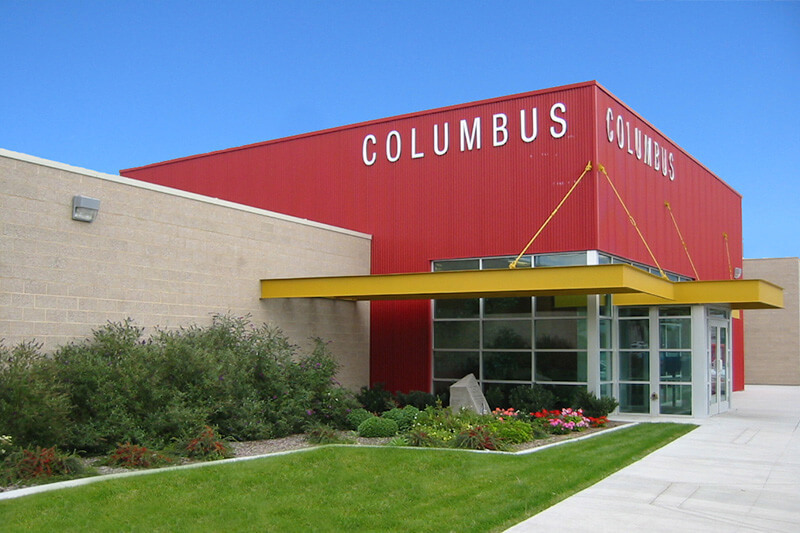 One year in, Columbus Community Center decided to renew their licenses of the Digitability program for another year. 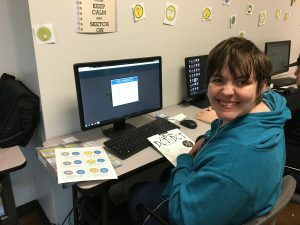 With this renewal comes an expansion of content to reach more people with disabilities through CCC and serve a larger group of people with neurodiverse needs in Utah. The next step in this collaboration is to create employment opportunities for students who complete the Digitability program. The plan to achieve this is to begin working with CCCs employer network. Bring Digitability's work-ready program to your school or organization! You can help Digitability prepare more people with neurodiverse needs and help them avoid 'falling off the cliff' into joblessness. Bring Digitabilty's Work-ready Skills Training Program to your school or organization by schedule a free demo.You can also download a free Digitability info using the form on this page to learn more. Recently, Digitability launched in the #1 school district in Kansas, Blue Valley Unified School District, and with your advocacy, you can help bring Digitability to people in your school or community too! Administrator, teacher, or parent? Get our product packet to learn more about Digitability!